There's a place in Utah for adventure and recreation where a family can spend several days, or even a week, and not severely damage the budget. A place that has a world-class mountain resort, a scenic bicycle path along a river, horseback riding and sailing. A place that houses a fascinating dinosaur museum, a cave for guided tours that is designated a National Monument, one-day float trips and blue-ribbon fly fishing for trout on its pristine river. A place that has miles of hiking and mountain biking trails interspersed with wooded campgrounds and picnic areas. That place? Utah Valley, just 40 minutes south of Salt Lake City International Airport via I-15. Let's start with that budget. Lodging in and around Provo/Orem, the hub of Utah Valley, is plentiful and reasonable. And hotel and motels are conveniently located to nearby recreation sites and activities. Sundance Resort up Provo Canyon is internationally known both as a ski area in winter and a summer playground. Experience the best of the European Alps, right here in Utah. Robert Redford's world-class resort has been named to the Conde Nast Traveler Gold List of the world's best and National Geographic Traveler's prestigious Stay List of the top 150 properties in North America. Few places in the world have the majesty, beauty and convenience of Sundance with a full roster of summer activities – from popular scenic full-moon lift rides to mountain biking, flyfishing, hiking, horseback riding, concerts and theater. 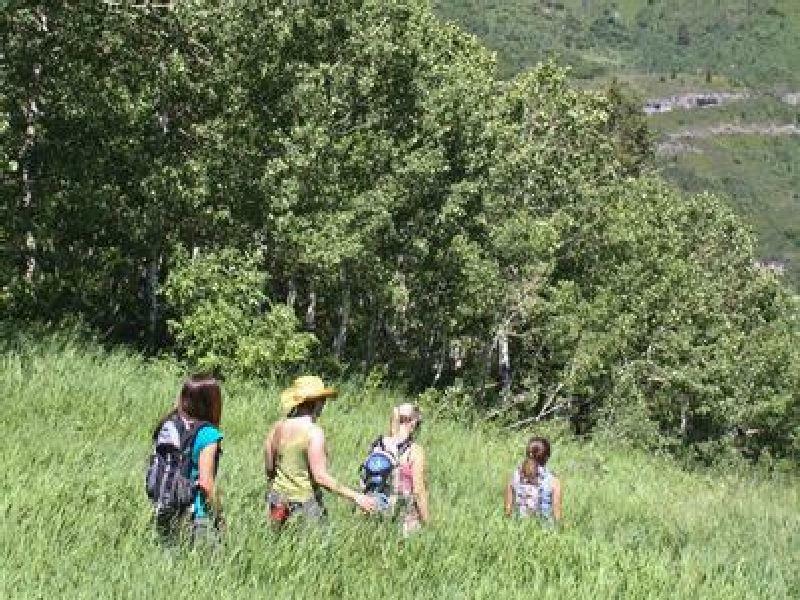 Sundance has over 10 miles of alpine hiking trails from routes meandering through forest to steep mountain terrain, with an additional 25+ miles of mountain bike singletrack. Both hiking and biking trails can be accessed from the chairlift. State of the art full suspension bikes can be rented at the Mountain Outfitters Shop, and private or group instruction is available. This summer the new Redford Conference Center will be completed. This 3500 square foot facility is environmentally friendly and will provide services for conferences, meetings and retreats with full service catering. At the end of an adventurous day, rejuvenate yourself in the Spa at Sundance. Upscale lodging is available at the resort and the dining is to die for. Are you up for a family bike ride? The Provo River Parkway Trail is a paved, multi-use pathway suitable for walkers and joggers, bicyclists and in-line skaters. The scenic Parkway follows the Provo River for 15 miles from Utah Lake State Park to Vivian Park in Provo Canyon. Except for a couple of short, steep climbs, the path is a relatively easy ride even for small children. However, because the route is popular and in places somewhat crowded, good bike control is a must. Take it slow and easy and enjoy the views! The Parkway is a great alternative to your car for getting around Provo since it intersects with the College Connector Trail in town, connects with the Great Western Trail up at Canyon Glen Park and the Bonneville Shoreline Trail at Bridal Veil Falls Park. Bridal Veil Falls is a double cataract waterfall that cascades dramatically 607 feet to the Provo River. Follow the Parkway to get a closer view of these spectacular falls. Feel free to dip your feet in and get wet, 'cause the base of Bridal Veil Falls has a nice shallow pool which little kids love to splash around in. The surrounding trails are great for spring, summer, or fall hiking and biking, and the views can be absolutely breathtaking. Want to learn to sail or just kick back and let an experienced salt handle the helm? The Bonneville School of Sailing on Utah Lake has regular schedules for either. Bonneville's Learn to Sail Program was designed as an entry-level course to teach basic boat handling skills in all but the most challenging conditions . Curricula also includes advanced sailing couses and celestial navigation. Are the kids up-and-coming paleontologists? Check out the fascinating Museum of Ancient Life at Thanksgiving Point. The museum has the distinction of being the world's largest display of mounted dinosaurs. You'll not only meet our fierce prehistoric friends, you'll also become a part of their world. While you're weaving through the exhibits, chirps of insects and growls of ancient creatures greet you in each hall. Exhibits like the Erosion Table and the Fossil Dig give visitors an opportunity be a part of the science of paleontology. At Thanksgiving Point, the kids will love the experience at Farm Country. Bring your little ones to spend an afternoon helping the staff milk the cow, gather eggs, groom the animals, buck hay, and slop the pigs. It's a fun, hands-on experience for the whole family. The 55-acre Thanksgiving Point Gardens has fifteen different themes and the largest man-made waterfall in the western hemisphere. While you're at Thanksgiving Point enjoy dining in the Harvest Restaurant, simple yet elegant and charming, a comfortable, fine-dining destination located in Water Tower Plaza. Harvest features regional American dishes with some Mediterranean influences serving contemporary adaptations of comforting classics, including grilled entrées, fresh salads, homemade soups and desserts at unpretentious prices in a beautiful and relaxing setting. The hike up to Timpanogos Cave National Monument (a good, well defined trail with 1000 feet of climbing) will get you some aerobic exercise. Once there, experiencing the cave's three unique caverns and the "Heart of Timp" will strike awe in both kids and big kids! Timpanogos Cave sits high in the Wasatch Mountains. Helictites and anthodites are just a few of the many dazzling formations to be found in the many chambers. 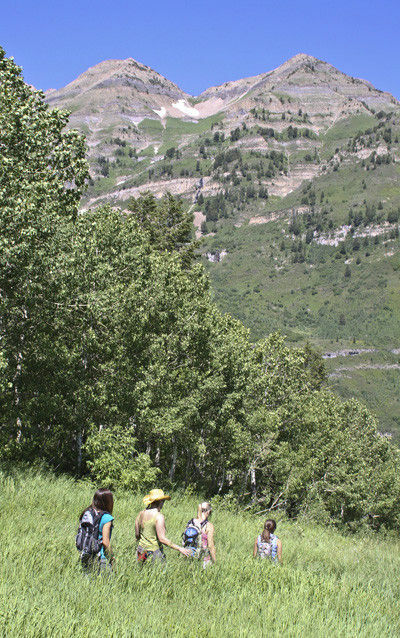 As visitors climb to the cave entrance they are treated to incredible views of American Fork Canyon. Ranger programs are a great way to expand your exploration of Timpanogos Cave and American Fork Canyon. Spend a few minutes or a few hours to share information, stories, and discoveries. A variety of interpretive ranger programs are offered during the summer months (May through September). Junior Ranger Programs at the Visitor Center patio are held at 10 AM Saturday mornings and holidays, Memorial Day through Labor Day. These programs cover a variety of interesting topics for kids of all ages. Children may become a "Junior Ranger" at anytime by participating in the program and earning a Junior Ranger badge or patch and certificate. Junior Ranger booklets are available at the visitor center. Looking for festivals, events and maybe a concert or two? You've come to the right place. The Spanish Fork Wind Festival offers everything from kids kite making workshops and zip lines rides to outrigger canoe rides followed by an evening Luau beach party. The Wind Fest is just one of the many, many festivities in Utah Valley. Another is America's Freedom Festival Stadium of Fire, one of the biggest Fourth of July fireworks productions in the country. Enjoy concerts under the stars at the Sundance Bluebird Café Series in an outdoor amphitheater with renowned songwriters performing their hit songs and telling the stories behind them. For more, see UtahValleyFestivals.com. So to satisfy your appetite for affordable family fun, next time try Utah Valley. Begin by picking up a copy of the Utah Valley Visitors Guide.